No two people have the same ability to hear and understand speech. Your hearing is as unique as your DNA. Noise exposure in the workplace, inherited medical conditions, loud hobbies and entertainment, and childhood and adult illnesses can all produce different types of hearing loss in different people. Do you hear but not understand what people are saying? Do people sometimes complain that you turn the television volume too high? Do you ask people to repeat what they just said? Do you have difficulty understanding when people are not facing you? Do you sometimes respond incorrectly to a question and discover later that you misunderstood the question? Do you often feel people mumble or do not speak clearly? Do you experience difficulty understanding in particular situations (meetings, church, synagogue, bridge, etc. ), especially when background noise is present? 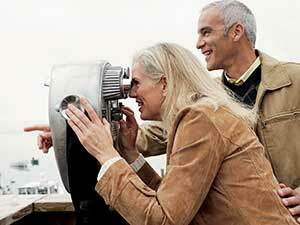 Has a friend or family member mentioned that you have a hearing problem? If you answered yes to one or more of these questions, you may have a hearing problem. Everyone experiences occasional difficulty, but when it occurs frequently, it is time to ask for help. Call 800-290-3277 for a free consultation. Conductive hearing loss refers to hearing loss caused by conditions of the outer and middle ear. For example, the outer ear canal may be blocked with earwax permitting only loud sounds through. The middle ear involves the region from the eardrum to the inner ear, which includes the three small bones that move in synchrony and are vital to hearing. The restricted movement of these bones, caused by infection or disease, may diminish hearing. Many conductive losses are treatable by medication or surgery. Sensorineural hearing loss includes both hearing loss related to the cochlea (sensory) and to the auditory nerve (neural). Hearing aids and assistive listening devices are the most common form of treatment for sensory hearing loss. Some common causes of sensory hearing loss are: noise exposure, aging, heredity, head trauma, viruses, ototoxic medications, illness, or disease. Mixed hearing loss is when there is some degree of both conductive and sensorineural hearing loss.